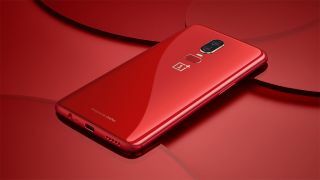 The OnePlus 7 launch date is set to be May 14, according to a fresh leak surrounding the firm's next flagship phone. The date comes via Twitter leaker Ishan Agarwal, who has been right in the past with other phone leaks, although there's no word on how the date was uncovered. We'd take this latest OnePlus 7 leak with a pinch of salt then, however it's worth noting that the OnePlus 6 launch took place on May 16, 2018, so the May 14 date isn't out of place this time round. The good news is there could be less than a month until we find out exactly what OnePlus has in store for us, and we'll bring you all the latest as soon as we know, right there.